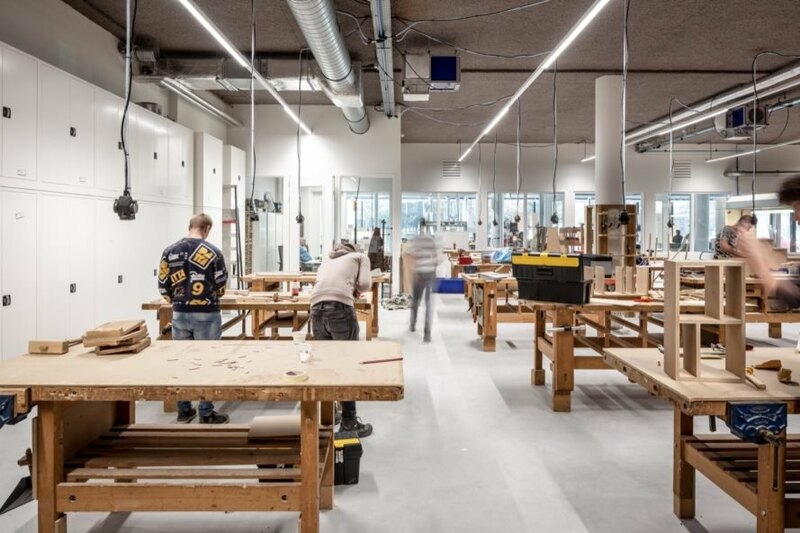 Designed by Delft-based cepezed and cepezedinterior, the Technova College in Ede has recently opened its doors as the newest branch of the Regional Education Center ROC A12 with a strong focus on sustainability. 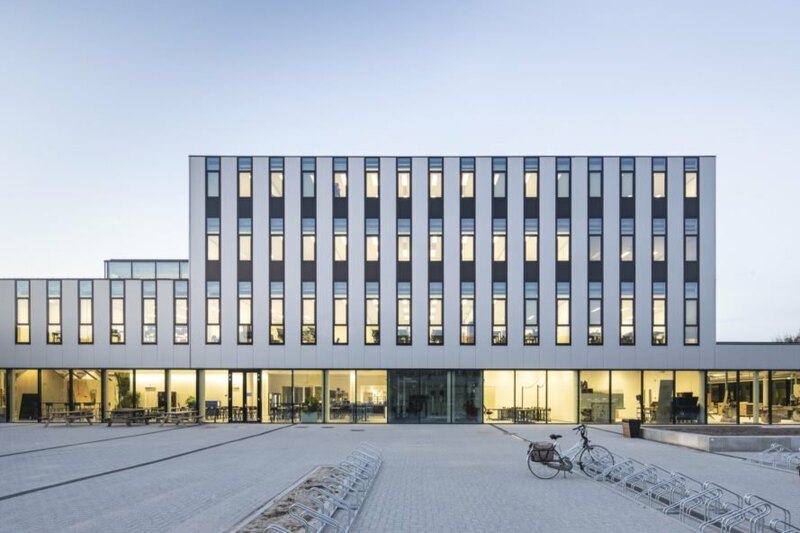 Powered by energy from a biomass plant and on-site solar panels, the nearly energy-neutral building largely owes its eco-friendly design to an executive consortium (Team Technova) responsible for overseeing maintenance and the energy supply. 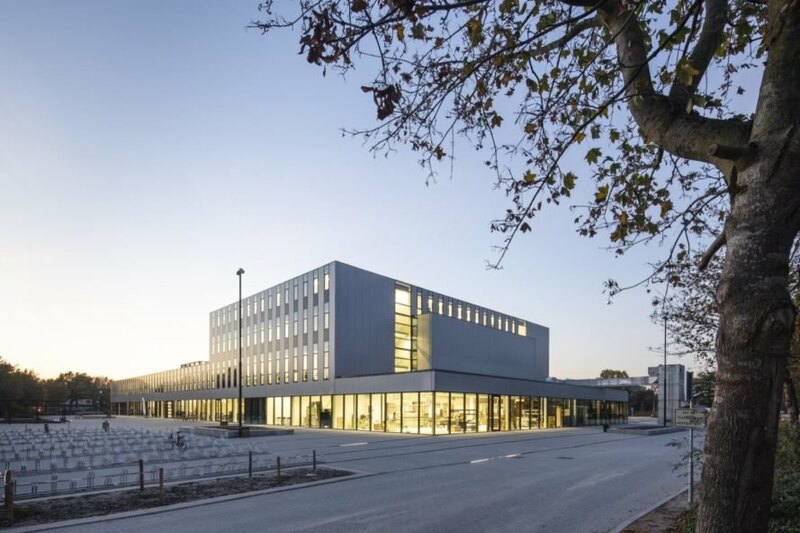 The school’s highly transparent design fills the interiors with light and turns the building into a showcase for the neighborhood. 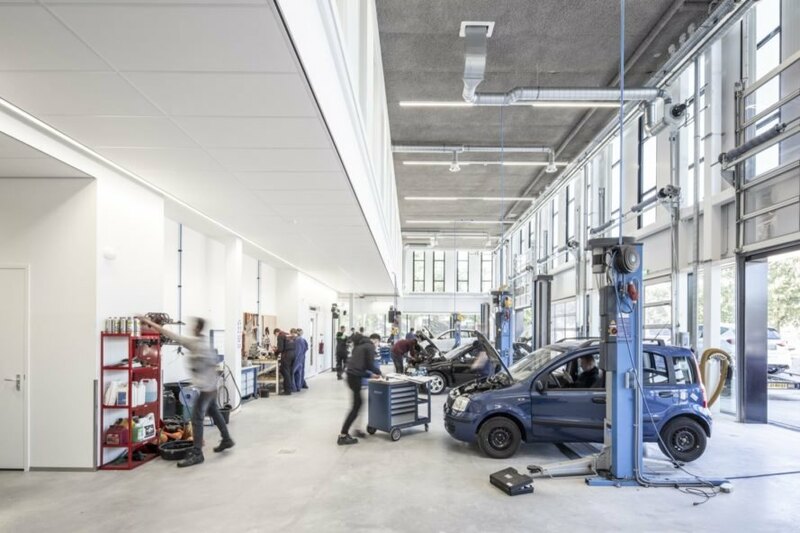 Completed this fall, the Technova College began with the dismantlement of a couple of older buildings on the ROC campus as well as the seamless integration of a single existing structure into the new-build. 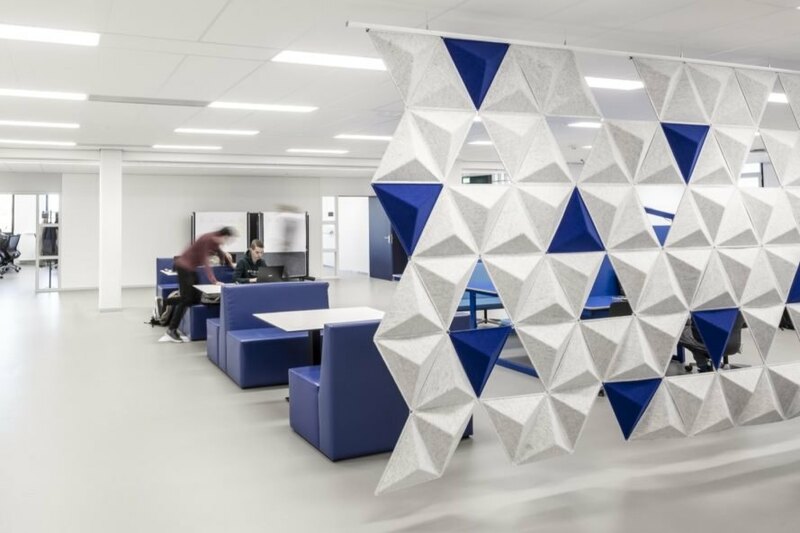 The various classrooms are organized around a double-height space referred to as the “innovative workplace” that sits at the heart of the school, along with reception. A college theater is located adjacent to the central workshop. All areas are designed to promote collaboration and interaction for not only the students but the surrounding community as well. The glazed facade that surrounds the ground-floor work spaces allows direct views of the student activity inside. 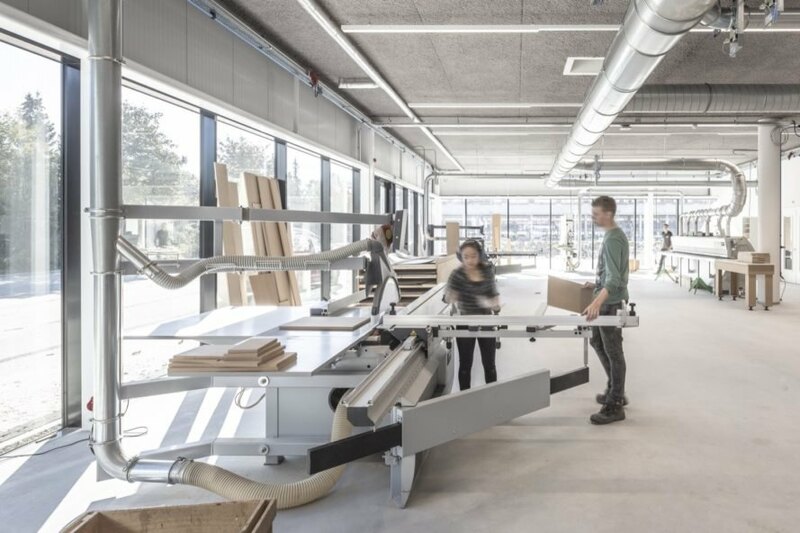 In addition to solar panels, the energy-efficient school building draws energy from a nearby biomass plant in Ede and is designed for natural ventilation that meets the standards of the ‘Frisse Scholen Klasse B’ (Fresh Schools, category B). “Join the Pipe” water fountains were installed throughout to deter the use of PET bottles. cepezed recently completed this solar-powered school in the Netherlands. The Technova College is located in Ede. The designers incorporated elements to complement the school's departments of Technique & Technology, Media & ICT and Sound & Vision. Double-height ceilings brighten the common areas. Several windows bring in natural light. The design includes many pops of color. Study lounges are ideal for focusing or socializing. The college includes many work spaces. Several workshops cater to different majors. Offices and classrooms inspire collaboration. The building draws power from solar panels and a nearby biomass plant. The college also benefits from natural ventilation, and specialized water fountains throughout discourage the use of PET bottles.